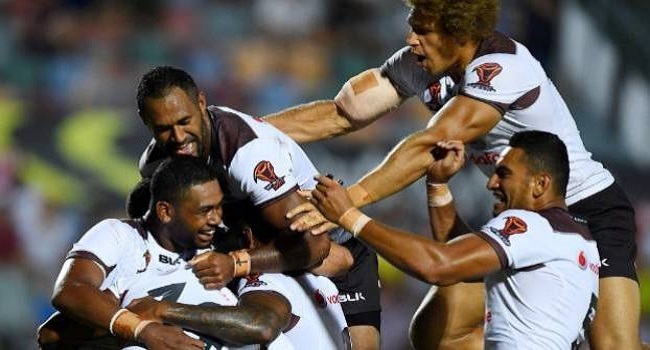 Vodafone Fiji Bati coach Mick Potter has named an unchanged side to play Italy at the Rugby League World Cup on Friday. Potter has been impressed with the way the team has played its opening two matches and has gone with the same thirteen that started in the 72-6 win over Wales. Captain Kevin Naiqama leads from fullback’s position while Suliasi Vunivalu and Marcelo Montoya will be on the wings. Taane Milne and Akuila Uate make up the centers. Jarryd Hayne and Henry Raiwalui complete the halves combination. Fiji plays Italy at 9.40pm in Canberra on Friday.